If you’ve been following me for a while, you probably know that I’m not a fan of free-to-play (F2P) monetization that change the nature of a game by penalizing you for failing and/or give a leg up to those who spend real cash. The App Store is filled with games like this, whether it’s paying for extra lives or moves in a game like Candy Crush Saga, consumable undos in Deus Ex GO, or loot boxes in pretty much any “free” competitive game these days. Because these practices have become so rampant in the App Store, I’m wary of every free game I see, and especially of paid games with IAPs. I don’t like to feel as though I’m at a disadvantage in a game unless I spend money to make it easier. And I especially don’t want to play a competitive game against those who are willing to spend money to get more powerful faster. 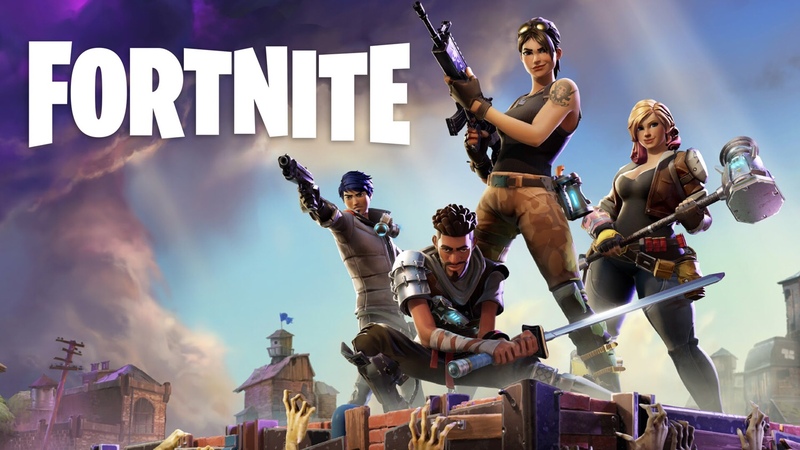 Since I’m neither a fan of F2P or of first-person shooters, I admittedly didn’t know all that much about Fortnite before it made its way to iOS. All I knew was that it was a more cartoony version of PlayerUnknown’s Battlegrounds, a multiplayer survival game in which the idea is to hunt other players down and be the last one standing. I just automatically assumed it would have loot crates, or at the very least items you can buy with cash to make yourself stronger. I also thought there would be RPG elements like in so many F2P competitive games where you have to spend either tons of cash or tons of time upgrading cards and whatnot to make them stronger. So I was pleasantly surprised to learn that not only is there no way to buy better gear with cash in Fortnite: Battle Royale, but there are no RPG elements either. You can buy cosmetics with cash so you feel cooler, but each game you play stands on its own, with no one having an advantage over others, besides their knowledge and skill. Better yet, the game is doing well on iOS before it’s even available to everyone. People are spending money on cosmetics and no one’s game is ruined by them. I know the major talking point about Fortnite is that it has seamless cross-platform play between consoles, PC, and mobile devices. And that’s definitely exciting. But for me, I’m hoping it can be an example of a successful game that keeps things fair and fun for everyone. I’ve only spent a short time with the game and I don’t know how much I’ll end up playing, just because first-person shooters aren’t really my cup of tea. But for keeping the game pure, I sincerely wish Epic the best of luck with it and hope to see more games follow suit.